Since the first ME 200 muscle stimulator was introduced in 1973, The Sys*Stim® line of electrical neuromuscular stimulators has provided value. 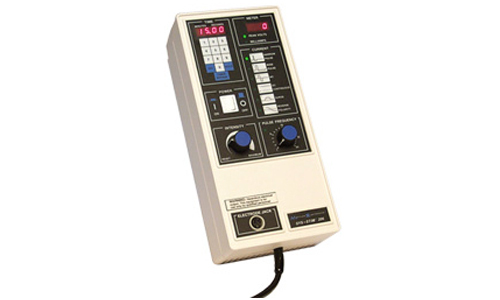 Each Sys*Stim stimulator is easy-to-use and has a variety of features that include today’s most popular waveforms, programmable output modes and portability. The Sys*Stim 206 offers many effective safety features. Internal error codes are designed to stop a treatment and let the clinician know how to fix the problem. Patient safety is number one!